These days many couples contemplating marriage consider drawing up an antenuptial contract (ANC), often with the accrual. Historically, most marriages were ‘in community of property’, and this regime provided a degree of protection to women, who traditionally carried out household duties while men earned the family income. In the absence of her own earnings, a woman needed the security of joint marital property, particularly if the marriage ended in divorce. An equal division of property ensured a woman who had no assets of her own was not thrust into penury by the dissolution of her marriage. As the median age for marriage increases (32 for women, 36 for men), it’s only natural that couples will have well-established careers and independent economic lives before tying the knot. Both parties may own property or other assets. With over 40% of marriages ending in divorce before the 10th wedding anniversary, it is not surprising that many couples choose to walk down the aisle clutching an ANC. If an ANC is in place, automatically the marriage is out of community of property. This means that all assets owned by each party before the marriage is solemnised remain the property of the individual. They do not become part of a joint marital estate. However, within this regime, there are still choices to be made. Should the marriage out of community of property be with or without accrual? There is no right or wrong answer; one is not better than the other. There are pros and cons to both and the most suitable option will depend on the couple’s priorities and preferences. Let’s explore the implications of each. In this scenario, there is no change to the ownership of previously owned assets, as described above, but everything acquired after the marriage is considered part of the joint estate, and is divided equally in the event of divorce. It is critical to note that this includes any increase in the net value of each individual’s estate. For example, if both husband and wife own homes and hold onto them, and they increase in value throughout the marriage, the equity over and above the initial valuation (which must be detailed in the ANC) is called the accrual, and the total is divided equally, even if one property appreciates by 20% and the other by only 10%. This is the simplest marital arrangement, but may not be the fairest or most straightforward. In the ‘without accrual’ option, all property owned prior to the marriage, as well as all property acquired or accumulated during the marriage, belongs to the person who accumulated it. This also goes for debts and liabilities, and each party may make whatever arrangements they wish regarding the disposal of their estate in their will. However, this gets complicated where, for example, one spouse may have agreed to work part-time or not at all to manage the household to allow the other spouse to work long hours growing a business. The lower-earning spouse in this scenario may have sacrificed considerable income so that the other could maximise earnings. Or one partner may have left the job market to study, with the full support of the other, knowing that in the longer term their earning potential would increase. The higher-earning partner may have accumulated assets such as a successful business or a second property in their name, fully intending to share the benefits. But good intentions are often cast asunder when relationships break down. One significant advantage of marriage out of community of property without accrual is that partners have no liability for the debts of the other. This can turn out to be a blessing, if the marriage breaks down with one partner facing insolvency or in serious arrears with various accounts. The other party, who may have a pristine credit score, is able to maintain their good financial standing. This can be particularly salient when the woman is left looking after the children and the burden of paying off her husband’s debts, if shared equally, would create severe hardship on the family. In this case the absence of accrual may be beneficial. Furthermore, each party can deal with their own estate as they please; if one party owns a property and wants to sell it, they are free to do so without requiring consent. On the other hand, as described above, there can be considerable unfairness in the ‘without accrual’ option. It favours the economically stronger partner and disadvantages the weaker, often the woman. ‘With accrual’ is a much more equitable system; but it does mean that all debts and liabilities that accrue after the marriage are also shared, which can impact unfairly on one partner. If you are planning to get married and want to understand all your options in terms of matrimonial property, call Simon today. You and your partner are strongly advised to seek independent counsel who will represent your individual best interests in drafting an ANC. Simon Dippenaar and Associates are experts in family law and can advise you on the most suitable approach for your circumstances. Contact Simon on 086 099 5146 or email sdippenaar@sdlaw.co.za. 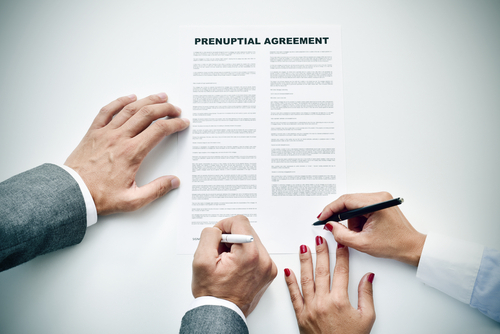 For more about a postnuptial contract click here. This entry was posted in Accrual and tagged Accrual, antenuptial contract. Bookmark the permalink.